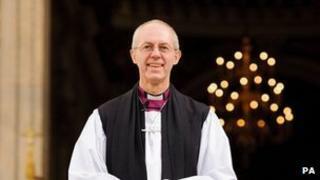 The Church of Scotland is backing the Church of England after the Archbishop of Canterbury, the Most Rev Justin Welby, spoke of his desire to put firms like Wonga "out of business". The credit union movement is growing and one of the longest established is the Scottish Transport Credit Union (STCU) whose chief executive John Mackin is a delegate to Holyrood's cross party group on credit unions. People's banks are becoming more popular with Scots from all backgrounds. He said: "The payday loan industry is nothing more than a financial cancer which causes unbelievable trauma. Ideally these companies should be banned if they are not lending in a responsible way." He has seen at first hand the problems payday loans can cause. Mr Mackin explained: "I recently took a call from a member whose son had taken out payday loans with one of his friends. The friend got into so much debt with multiple loans he couldn't pay back the money - more than £2000 - and he hanged himself. "We had to step in and help the because the other lad was terrified he too would take his own life because of his levels of debt." Such cases are rare but illustrate the scale of the problems caused by exorbitant payday loan interest rates compared to the rates charged by credit unions. Like most credit unions, the STCU has humble origins. In 1981, eight Glasgow bus workers put in £1-a-week each each to help save cash for holidays. Now, it has 13,000 members, including bus workers, train drivers, ambulance and road haulage staff. It has £9m in savings, £17.5m out on loan and a net worth of £21.5m. And these days providing holiday loans is just the tip of the iceberg. It offers cash loans, pensions advice and has even arranged mortgages and legal advice. There are more than 110 credit unions in Scotland serving in excess of 250,000 people. They have £200m in savings and £170m out on loan. They recently received £1.3m from the Scottish Government's Third Sector Enterprise Fund to help credit unions upgrade their facilities, extend their services to a wider range of people, and continue to develop and grow as thriving social enterprises offering a real local, ethical and co-operative alternative to the banks. Credit union members pool their savings into a common fund and make low-interest rate loans to each other. They are not-for-profit, fully autonomous financial co-operatives which are committed to the service of members. About 2% of the UK population belongs to a credit union; for Scotland alone, the figure rises to 5%, and the west central area accounts for at least 35% of UK credit union membership. In Glasgow, where the organisation is immensely popular, 20% of the population are members. Borrowing from credit unions requires first that the member saves (in the majority of cases), and secondly that they borrow an amount they can repay. No further credit is extended by the union if the member struggles to repay, avoiding the issue of consolidation lending. Mr Mackin said: "To illustrate the value, look at what happened to one of our members who went to a payday loan firm. He had a monthly take home pay of £1250 and borrowed £600 for one month and had to pay back £750 the next month. "They had his bank details and when the payment came due took the money leaving him short. So he borrowed again. This went on for months. He eventually came to us for help. We loaned him £800 to get him clear and the interest we charged was less than £50 over 12 months." The STCU formula is often copied by new credit unions seeking advice. Mr Mackin said: "We were the 14th credit union to be set up in the UK. Now there are very few major credit unions who have not come to us to find out more and to help set up themselves over the years. "We could not have survived had it not been for the political will of politicians over the years. Former First Minister Donald Dewar was very supportive as was former Prime Minister Gordon Brown. There is no doubt we have punched above our weight over the years, but the politicians were very sympathetic towards us. After devolution, the Scottish political establishment became aware of credit unions and what can be achieved in communities." John, a former bus conductor from Kinning Park, is aware of the challenges ahead. He said: "People are in more debt. We have to lend very prudently. We would be doing no one any favours by lending the money and asking no questions. We have to be careful with our members' money." The "credit crunch" has led to a dearth of widely available credit for those with low-incomes and there has never been a better time for credit unions to build on their existing success and raise their public profile. The credit union movement in the UK sees the recruitment of more affluent members to be key to their expansion and security. Mr Mackin said: "Some people say we are a poor man's bank. Nothing could be further from the truth. We have some very wealthy members. I have bus drivers who have been very astute over the years and who have savings with us of £150,000." He added: "We have been slow to market ourselves over the years. Perhaps we now owe a debt of gratitude to the Archbishop of Canterbury for securing the movement so much free advertising."